Project Pool are based in Macclesfield, Cheshire. 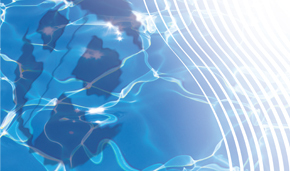 Our pool and spa design and installation service covers the whole of Cheshire and the Northwest. We are specialists in swimming pool refurbishment, turning tired and dated pools into quality deluxe swimming pools and spas. The retail aspect of Project Pool covers the entire UK and overseas. We are an innovative, forward-thinking company constantly researching and sourcing new products and technologies from all over the world. We have developed and patented chemicals and equipment which are only available via Project Pool. Whether it’s a swimming pool refurbishment, wellness spa centre design, or hot tub, sauna and steam room installation, Project Pool are specialists in creating top quality beautiful spaces, both in the home and in commercial settings. Our design team is extremely knowledgeable in current design trends and are happy to advise you and work with your ideas. Project Pool offer a personal one-to-one service to all of our customers. We can be trusted to provide only the best quality products and services. All our work carries a ‘peace of mind’ 30 year insurance backed guarantee. We have our own in-house maintenance team to look after swimming pools, so our after-sales care is second to none. Project Pool has a fresh attitude towards finding solutions to environmental issues. We believe in looking after the environment is important. To this end, we specialise in the design of eco-friendly pools, using free source energy solutions wherever possible. Project Pool offer very competitive prices on all products and services. Contact us now to discuss your requirements.